What’s Better? Costa Rica Residency Or The Visa Run Shuffle? One certain thing about living in Ticolandia as an expat is the “Costa Rica visa run vs. Costa Rica residency” argument will draw you in someday. Once you get to Costa Rica, you’ll find yourself part of the conversation, too. So what’s this Costa Rica visa run thing? Some kind of race? Yeah, it’s some kind of race. A race against time. By that, I mean the time the immigration officer at the airport or border gives you when you arrive in Costa Rica. When you arrive on a tourist visa, you get an amount of time you can stay in the country before you have to leave. For most North American and European Union citizens, the time allowed is up to ninety days. Note the words “up to”. It’s not ninety days, it’s up to ninety days, depending on how much the immigration officer in front of you a) likes your face or um, b) likes your face. 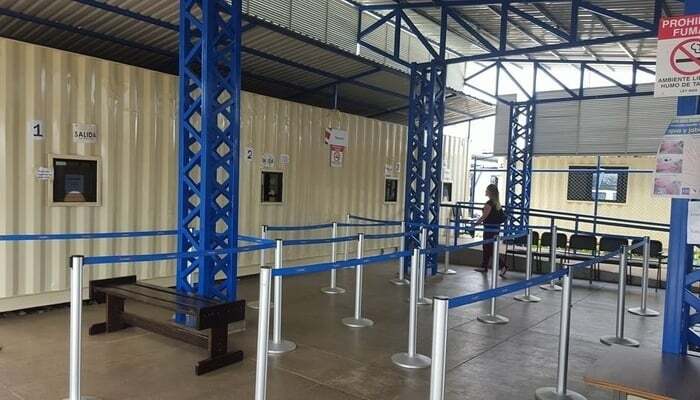 Depending on the officer’s mood (and your attitude) as you lay your passport in front of him or her, you can get anywhere from zero days in Costa Rica to ninety. It’s a total crapshoot. This, I should point out, is normal. Every country gives their immigration agents the exclusive right to use their discretion about whether to let someone in or how long to let them stay. That’s their job. Most of the time you’ll get ninety days (if your country has a ninety-day maximum – some don’t so please check) but sometimes it’s less. The immigration officer will stamp your passport and write the number of days he or she deems appropriate over the stamp. When those days are up, you gotta leave. A visa run is when you leave the country and return for another stamp. And unless you apply for Costa Rica residency straight away, you’ll do it too. Thousands of people do visa runs and the process isn’t a major complication. The essentials are you leave the country, enter another one, turn around and re-enter Costa Rica. Most people do this at either the Nicaraguan or the Panamanian borders. Many take a few days to check out the other country before coming back and getting another up-to-90-days stamp. And so on. One wouldn’t expect an innocuous administrative task every few months to lead to so much dispute, but one glance at the online forums and Costa Rica expats groups on social media would prove you wrong. The visa run question is one of the most dividing issues among expats in Costa Rica and you will end up engaging people and developing your own opinion. 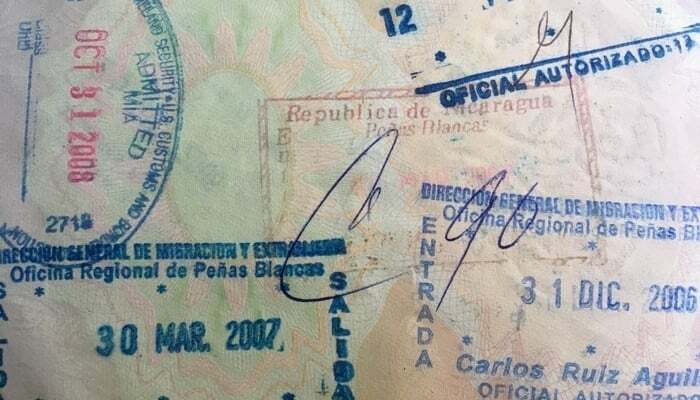 There’s one school of thought – held by many expats in Costa Rica who went through the often protracted and torturous residency process – deriding those who do visa runs as somehow “not authentic” expats. They suggest having your Costa Rica residency card means you’re “official” here and not some mere tourist. There’s merit to this school of thought, although it reinforces the notion of a hierarchy among expats – which, of course, there is. Naturalized citizens come top of the pecking order, followed by permanent residents. After them come the temporary residents, then those waiting for residency, and then the perpetual tourists (those who bounce in and out doing visa runs) at the bottom. Hey, I didn’t make the rules here – I’m only reporting them. Like it or not, this is how many people see it, even if they won’t admit it. A glance at the Facebook groups will tell you that. If you’re a perpetual tourist, whether new in Costa Rica or years into your time here, there are many reasons to skip the residency stuff and stay on the visa run shuffle. You are not tied down to Costa Rica. If you don’t like it you can leave and go somewhere else, no strings attached. People often go the residency route because they want to save money by skipping out on the multi-annual travel expenses overseas. They assume they will save money that way. What they don’t realize is Costa Rica residency is expensive. We’re talking a minimum few hundred dollars here plus more than that if you use a lawyer to help you. Not to mention the Caja fees (Costa Rica social security/healthcare) that all residents have to pay each month. Those costs will soon overtake the cost of running up to Nicaragua and back a few times a year. As a perpetual tourist, you’re still protected under the Costa Rican constitution. This means you have the same legal rights as any legal resident or citizen. Perpetual tourism means you get an enforced vacation at least four times per year. It’s a great way to think of it if you’re a glass-half-full person. While you can cross the border and come straight back during your visa run, many explore a little. Visa runs out of Costa Rica are a great excuse for some beach time in San Juan del Sur, Nicaragua or some shopping in Panama City. You may not have gotten around to it otherwise and now you have to. There’s no getting around this. Every time you enter Costa Rica as a perpetual tourist you are at the mercy of the person behind the counter with your passport in their hand. As mentioned, they can give you zero days or ninety days. If they don’t want to let you back in, there’s nothing you can do about it. If they give you ten days instead of ninety, you have to do the visa run shuffle again in ten days. It’s a complete lottery. Some people have been doing visa runs for decades, getting ninety days at a time with no issues. Others get turned away or given less than ninety days on their first time. You never know how it will go. Freedom has a cost, and this is the cost right here. 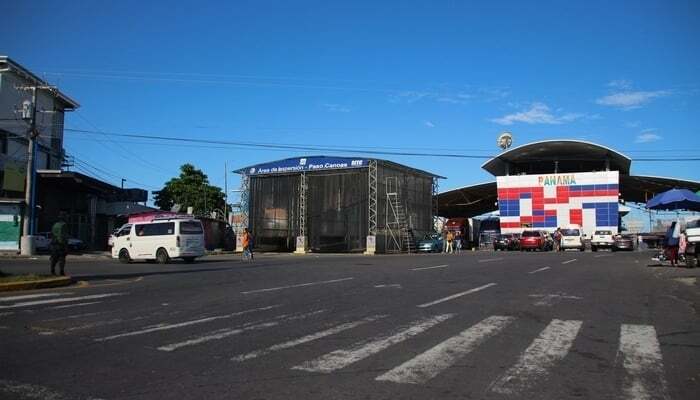 You can’t help feel at least a little twinge of insecurity every time you enter Costa Rica. Unless you’re a true free spirit and don’t care. In that case, you’re all good. The rules say you’re allowed to carry a copy of your passport but it doesn’t always work like that. If you’re using credit or debit cards or paying certain bills or even walking down the street, someone will want to see some ID at some point. And they’ll want to see real ID. Being a perpetual tourist means having a dog-eared passport with tons of stamps. But at least you’ll learn your passport number by heart. Who does that in your home country? Perpetual tourism means price discrimination. Yeah, yeah, we know under the constitution tourists have equal rights. But some rights are not as equal as others. You, as a perpetual tourist, will pay tourist prices. National parks will be more expensive for you to enter than for citizens and residents. Some domestic airlines are more than twice as expensive for tourists, and car rentals too. There are many examples where having Costa Rica residency will give you the “insider’s” price. Without it, you’ll always be an outsider. Perpetual tourism can be an admin nightmare. Nowadays it’s tough for non-residents to open bank accounts in Costa Rica, at least accounts which allow you to do more than just use an ATM. 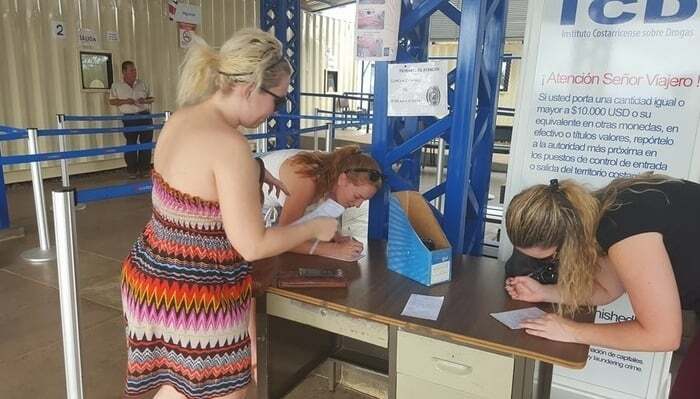 Only foreigners with legal residency can now get Costa Rican driving licenses. Without residency, you can’t get a post-paid cell phone. These little things might be insignificant on their own, but combined they can drain the pura vida out of your life faster than a snowman melting on a Tico beach. Perpetual tourism means you can’t legally work in Costa Rica. Many people will argue about this but the truth is you cannot. End of story. You can own a business (although you can’t work at it, you can only administer it). You can be a digital nomad, working online from wherever in the world and being paid from abroad into a foreign bank account. But you cannot get a job in Costa Rica as a perpetual tourist. Not legally not ever no matter what people say. So yeah. It goes both ways. There are pros and cons on both sides of the Costa Rica residency vs visa run question. The problem is many people just can’t fit into the various categories of residency required. Does that make them bad people? Of course not. Does that mean they shouldn’t enjoy their lives in Costa Rica? Hell no. This debate between Costa Rica residency and visa run fans will roll on and on. It’s down to you to determine which side of it you want to be on.